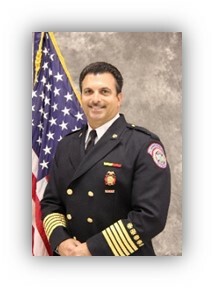 Thank you for visiting the St. Tammany Fire Protection District No.1 website. Our fire department has a proud history of serving the citizens and visitors of Slidell, LA and the surrounding area. That spirit of service continues as we move forward into the future. The men and women of St. Tammany Fire Protection District No.1 are here to serve you. From our frontline Firefighters to our Fire Prevention Officers, from our Communication Center Dispatchers to our Training Academy staff, from our Maintenance personnel to the sworn and civilian staff that comprise our workforce, we are committed to providing the highest levels of service possible. St. Tammany Fire District No.1 releases 2018 Annual Report highlighting many of the accomplishments achieved last year. St. Tammany Fire Protection District No.1 rated Class 2 by the Property Insurance Association of Louisiana (PIAL). 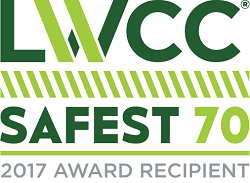 St. Tammany Fire Protection District No.1 named "Safest 70" by our worker's compensation insurance company LWCC for 2017. Notice of Regular Board of Commissioners Meeting April 16, 2019 6:00 p.m.
Notice of Regular Board of Commissioners Meeting March 19, 2019 6:00 p.m.
Notice of Regular Board of Commissioners Meeting February 19, 2019 6:00 p.m.
Notice of Special Board of Commissioners Meeting February 6, 2019 6:00 p.m.
Notice of Regular Board of Commissioners Meeting January 15, 2019 6:00 p.m.